Whether you are a small-to-medium business (SMB) looking to deploy a cost-effective hosted phone system with phones or leveraging the internet for SIP Trunking, Sangoma has the ideal solution for you. With three very distinct offerings, PBXact Cloud- a cloud-based PBX phone system solution, SIPStation - SIP Trunking for FreePBX and FaxStation - guaranteed fax services via the internet Sangoma offers a complete suite of products designed to fit your communication needs. Sangoma University offers free online training modules that are focused on specific aspects of Sangoma products and services. 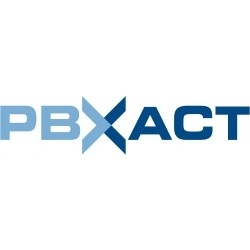 Find the self-paced courses with short videos, which include PBXact, FreePBX, SBC and more! This is an excellent opportunity for anyone interested in learning about Sangoma products. Click to find out more.